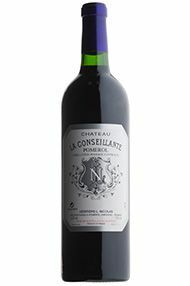 The Wine Advocate - A brilliant effort from this property, known for the sheer elegance and finesse of its wines, the 2010 La Conseillante offers back-to-back monumental efforts, particularly given the remarkable 2009. This estate has been on a hot streak of late. The 2010 is a slightly bigger, richer wine, but without losing its floral, elegant mulberry, black raspberry and sweet kirsch notes. 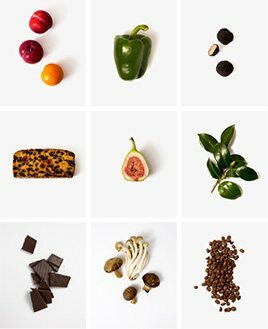 Combine those with some licorice, subtle new oak and a hint of forest floor, and the result is a medium to full-bodied, rich, complex wine that has striking aromatics and perfect balance in the mouth. Forget it for 3-5 years and drink it over the following 30. Jancis - Dark crimson. Racy, lifted nose, verging on tea and treacle, but on the palate there seems no excess of acidity. Solid 21st-century thick right-bank Merlot. Solid and complete with real density. Actually on the finish it does seem to be built for the long term. Just a little astringent on the very end, but overall pretty satiny. Wine Spectator - The 2010 Chateau La Conseillante shows impressive power and purity, with waves of blueberry, fig and spice notes backed by black tea and graphite. Velvety and very long, this has some power in reserve, but it's really silky. A beauty! 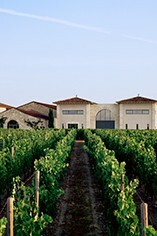 Parker - A brilliant effort from this property, known for the sheer elegance and finesse of its wines, the 2010 La Conseillante offers back-to-back monumental efforts, particularly given the remarkable 2009. This estate has been on a hot streak of late. The 2010 is a slightly bigger, richer wine, but without losing its floral, elegant mulberry, black raspberry and sweet kirsch notes. Combine those with some licorice, subtle new oak and a hint of forest floor, and the result is a medium to full-bodied, rich, complex wine that has striking aromatics and perfect balance in the mouth. Forget it for 3-5 years and drink it over the following 30. A monumental La Conseillante, the 2010 completes a remarkable decade for this estate. Quintessentially floral, this dense purple-colored effort reveals sweet flowery black raspberry and blueberry liqueur notes, more power, muscle and concentration than most vintages and exquisite elegance, purity and personality. Serious tannin lurks beneath the surface, but the overall impression is of a medium to full-bodied, strikingly deep, beautifully pure, well-balanced wine. Give it 3-5 years of cellaring and drink it over the following 25-30+. Decanter - The 2010 Chateau La Conseillante is slightly more assertive than the '09 but very fine. Deep colour. Lovely density of fruit - blackcurrant note on the nose. Has volume on the palate but freshness as well. Good line and length. Violet, liquorish notes on the finish. Firm, grainy tannins.